Avolites and Avolites Media have a reputation for launching forward-thinking, industry-beating products at PLASA, and this year is no exception. Avolites Media, which last year was awarded the PLASA Innovation Award for its Sapphire Media Infinity video control system, is continuing its launch of benchmark products by unveiling the S Series media servers, and Ai V7. The Ai S2 (in picture), S4 and S6 are Avolites Media's latest server systems that offer 2, 4 & 6 Display Port / DVI outputs. They feature the latest third generation PCIexpress motherboards and PCIexpress SSD drives. In addition, the Salvation Engine can be easily configured to provide up to 64 layers of PIPs with a single server. Avolites will launch Wings for the Sapphire systems and Titan Mobile Wing. The Tiger Touch II represents a hybrid of fast accessible, 'hands on' control working with the intuitive touch screen. It's powered by the Titan operating system with free Titan upgrades. The Sapphire Touch Wing gives an additional 30 Motorised Faders and third hi res touch screen. The Sapphire Media Wing enables local video control of the Ai media servers. 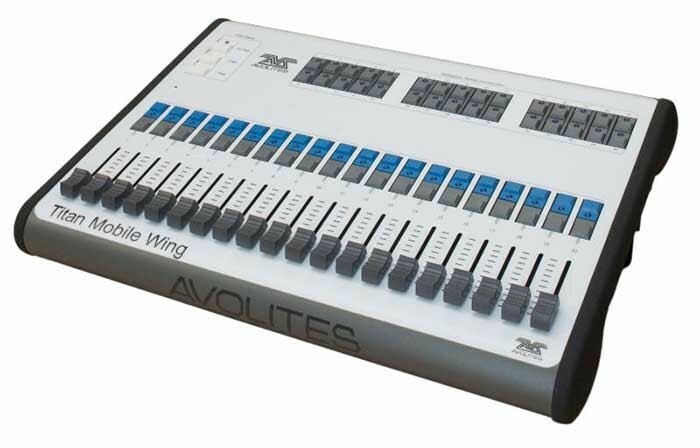 The Titan Mobile Wing (pictured above) enables expansion of every Avolites Titan console, giving direct access to items that are always needed.